The DIY chain reported a fall in like-for-like (LFL) sales in the first half in the UK & Ireland, impacted by a 5.4% drop in non-weather-related categories, including showroom. Total sales were down 2.3% to £1,833million for the trading period, as parent firm Kingfisher blamed a “weak consumer backdrop”. A 4.9% LFL uplift in weather-related categories was not enough to offset the declines. 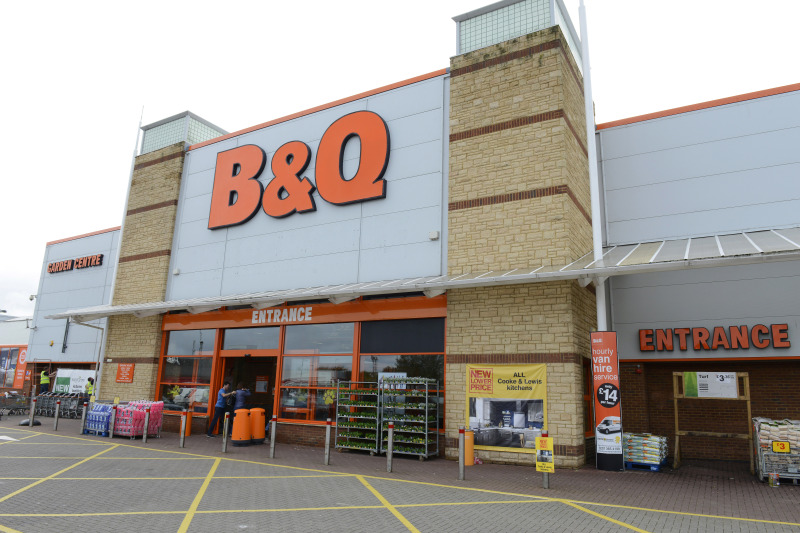 Online continued to grow, with B&Q’s total sales via the channel increasing 8% - including an impressive 56% growth in click & collect sales and 41% in mobile sales. Online now represents 4% of total sales for the chain. Meanwhile, Screwfix grew total sales by 10.4%to £802million – up 4.5% on a like-for-like basis - driven by its specialist trade desks that serve plumbers and electricians. The business also saw strong digital growth, up 18%, including a 43% jump in sales via mobile and 21% uplift in click & collect +21%). The continued roll out of new Screwfix outlets has also made a healthy contribution to sales growth, although the logistics costs associated with opening of a new distribution centre made a dent in parent firm Kingfisher’s gross margin, which was down 30 basis points. Climbing steadily towards its target of 700 Screwfix trade counters within the UK, the retailer opened 21 new outlets in H1, taking the estate to 598. The chain is set to open its 600th trade counter on Thursay in Hoddesdon, Hertfordshire. Screwfix and B&Q’s figures contributed to Kingfisher UK & Ireland’s overall sales increase of 1.3% to £2,635million, up 0.5% LFL. Retail profit grew by 1.2% to £218 million. Screwfix sales are up because they position new stores close to B&Q stores but then price like for like products cheaper than within BQ and don't allow BQ to compete on prices or promotion products. Staff in BQ worry that kingfisher is setting them up to sell of the chain and to concentrate on the more profitable smaller outlet screwfix units.